The nation’s largest Catholic not-for-profit health and aged care provider has committed to increasing its Aboriginal and Torres Strait Islander workforce to 500 by 2020, in a bid to give Indigenous jobseekers life-changing employment opportunities. St Vincent’s Health Australia has become the latest Australian organisation to sign up to the Commonwealth Government’s Employment Parity Initiative (EPI). The scheme calls on companies to commit to an Indigenous workforce of at least 3 per cent – reflecting that First Australians are 3 per cent of the population. Under its EPI agreement, St Vincent’s will increase its Indigenous workforce from its current level of 0.29 per cent to 3.24 per cent by 2019/20. St Vincent’s group chief executive officer Toby Hall said the commitment to employment parity complemented the company’s Reconciliation Action Plan. “Since our origins more than 175 years ago, St Vincent’s Health Australia has worked alongside Aboriginal and Torres Strait Islanders to both improve their access to health services and strengthen communities,” Hall said. “Now, through our Reconciliation Action Plan and by becoming a signatory to the EPI, we’re committed to increasing and sustaining our Aboriginal and Torres Strait Islander workforce across all our hospitals and aged care facilities. Hall said it was still “early days” but they were excited. “As new signatories to the EPI we’re still at the stage of putting in place the processes that will help us achieve our goal – but we’ve made a good start,” he said. “Currently St Vincent’s Health employs around 70 people who identify as Aboriginal and Torres Strait Islander and in roles as varied as administration, physiotherapy and nursing. We hope to see that diversity continue as we increase the number of employees in the years ahead. 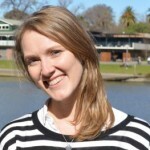 “There’s no question meeting our goal will be a challenge, but the organisation has devoted its energy and resources towards it, and we’re excited at the potential of the new employees we will be bringing into the organisation. “Through this partnership with the Commonwealth we will be recruiting Indigenous jobseekers in a wide range of frontline roles such as sterilising services officers, assistants in nursing and personal care, pastoral care associates and lifestyle carers. 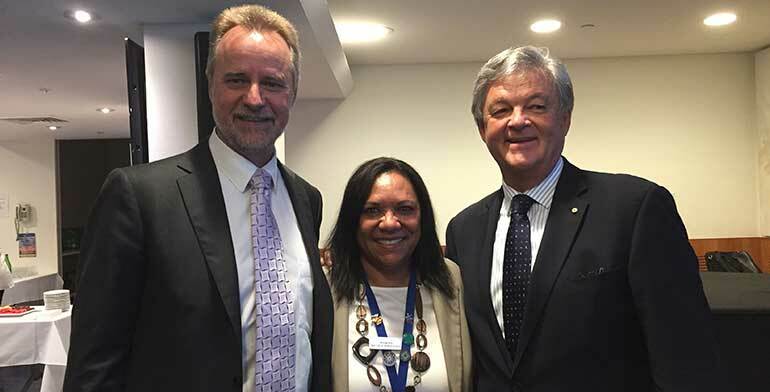 Minister for Indigenous Affairs Nigel Scullion, who made the announcement at an event at St Vincent’s Hospital in Sydney, said the EPI was an innovative way the government was partnering with private sector firms to give Indigenous jobseekers life-changing employment opportunities. “St Vincent’s has committed to employing an additional 500 Indigenous staff, with at least 70 per cent of these positions to be filled by long-term unemployed jobseekers,” Scullion said. “With a workforce of more than 17,000 people who care for more than one million patients and residents, St Vincent’s commitment is an example of a major Australian employer taking practical action to give life-changing opportunities for First Australians. Since launching,the government has entered into 11 parity partnerships with some of Australia’s largest employers – including household names such as Woolworths. Nationally, the aim of the EPI is to reach employment parity of 3 per cent by 2020 which translates to more than 20,000 jobs for Indigenous jobseekers. The government supports companies with any additional costs of employing and retaining highly disadvantaged Aboriginal and Torres Strait Islander jobseekers. Under the EPI, parity employers are required to increase their own purchasing from Indigenous businesses. Scullion said it could set a person up for life. “Having an employer like St Vincent’s on a person’s résumé helps to set that person up for life and the positive effect this initiative is having for individual First Australians and the wider community makes this an investment worth celebrating,” he said.